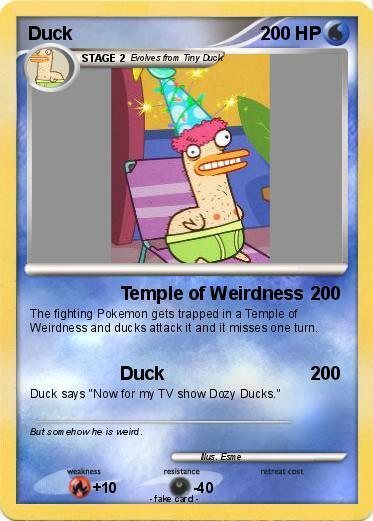 The fighting Pokemon gets trapped in a Temple of Weirdness and ducks attack it and it misses one turn. Duck says "Now for my TV show Dozy Ducks." Comments : But somehow he is weird.